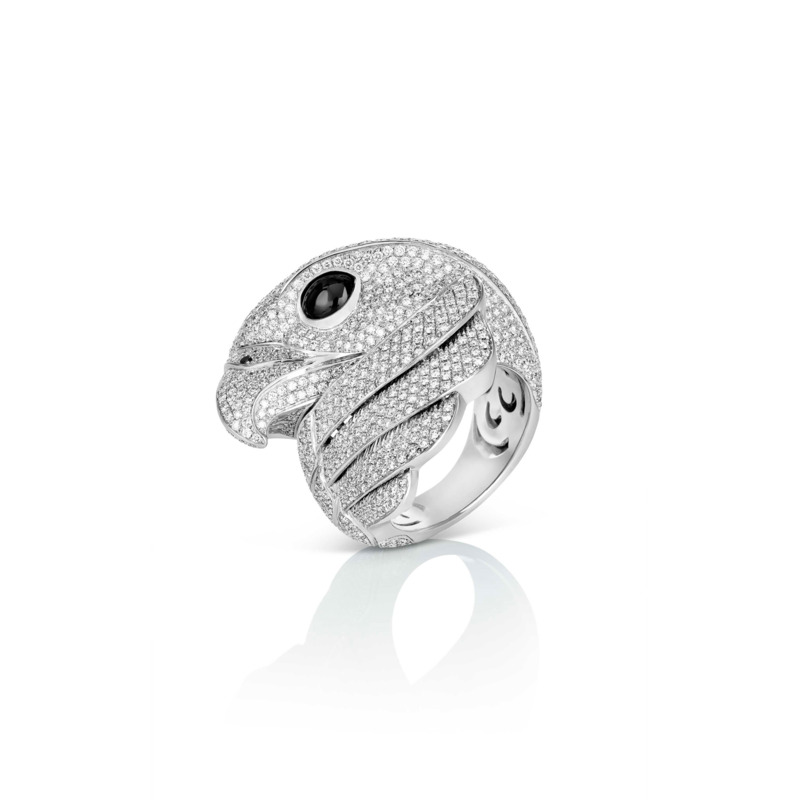 Roberto Coin Animalier Falcon Diamond Ring in 18 carat white gold. Round brilliant cut diamonds 3. 84cttw.